One of the good problems with writing a weekly article is that you sometimes find yourself with an abundance of topics to cover. A week or two of events happening in the EVE universe can often provide material for articles that can be spread out over time. On any other week, Burn Jita and the announcement of Gentleman’s Agreement disbanding would be easy columns to put out. However, those events all take a backseat during the weekend of Fanfest, the holiest of holidays to all the nerds that play EVE. For the 1,500 or so people who will attend, the weekend will be highlighted by alcohol fueled shenanigans with the occasional CCP employee having the audacity to talk about a spaceship game. For others at home watching the stream, the four keynote speeches will be the main focus of our attention. EVE Online, EVE: Valkyrie, and Dust 514 will get their own separate keynote while a fourth will go into the future vision of all the products. This year, there are two keynotes I’ll be following closely. The first keynote I’ll pay close attention to is the EVE keynote. Last year, we got several big announcements of new features that would end up being in the Odyssey expansion. The changes to Player-Owned Starbases, scanning, ice mining, and the technitium nerf were big changes that made New Eden easier to live in. This year I’m hoping for several announcements in the same vein. Industry appears to be the main focus of the summer expansion, and I’m expecting more news about the upcoming changes. Industry has barely been touched since inception, and a ground-level redesign on a CrimeWatch-like level is going to be amazing. If CCP can find other ways to reinvigorate other areas of industry, like mining for example, the summer expansion could be a game-changer for an entire class of players who have largely been ignored for a long time. I’ll also be paying attention to features that will have much larger direct impact in how I play. With nearly every subcapital balanced, I’m hoping Rise and Fozzie begin the work on capitals soon. Capitals have largely been untouched since they were introduced, and a ground-level redesign has been needed for quite some time. The Phoenix is in need of an overhaul, and the long-rumored switch from torpedoes to rail-guns would be announcement that would get a great reaction from everyone. In a twitter conversation with David Reid (CCP’s Chief Marketing Officer), it was hinted that the new EVE Executive Producer would be announced soon. We heard a while ago that news for the search for the new EVE EP would announced soon, and it’s entirely possible that this could be announced at Fanfest. CCP hired Executive Producers for both Dust 514 and EVE: Valkyrie from outside the company, though an announcement saved for Fanfest would suggest it’s an internal hire. The other keynote I’ll be following closely will be the Dust 514 presentation. In the last year, there have been a number of large changes behind-the-scenes with EVE’s troubled little brother. The hire of the new Dust EP could possibly mean a different direction for the game, something that is sorely needed. It’ll be interesting to see what the direction the game takes, and what they’re planning on doing with the it. 2013 was largely spent on patches that balanced weapons and gear, hopefully 2014 will start delivering large features. Of course, they need to be careful what they discuss because CCP doesn’t have a great track record with Dust features they announce. 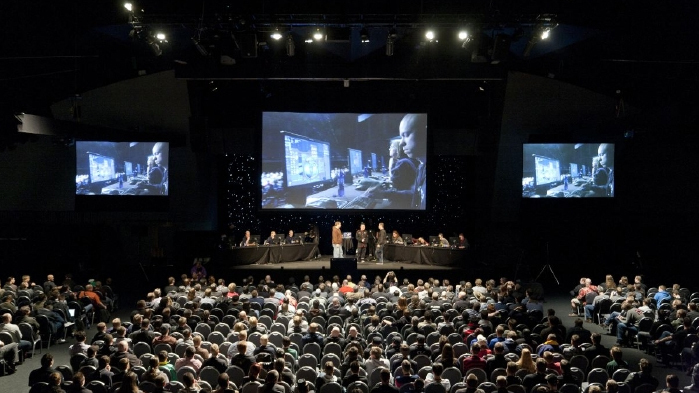 Rumors have been circulating of a “gamer-changer” of an announcement on Fanfest. 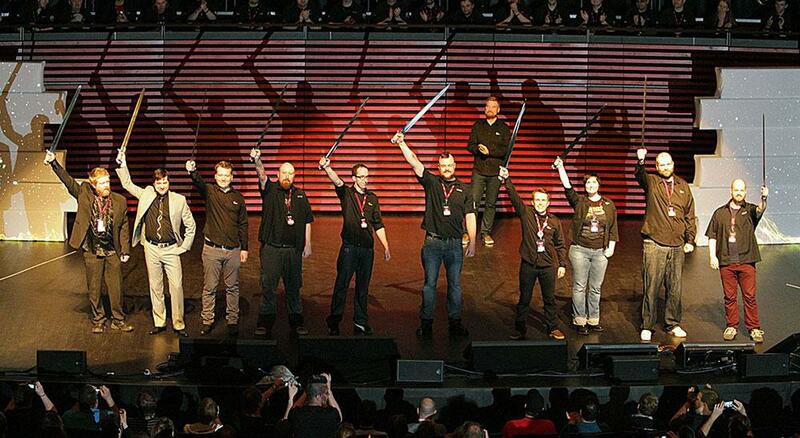 One person who has insider knowledge mentioned a big announcement coming, and a partially comedic interview with CCP Rouge on the CCP Pre-Fanfest stream seemed to confirm it. What could it possibly be? Rumors of a possible ports to PC and PS4 have been rumored for years, and with the release of nextgen consoles this is a distinct possibility. We could also see news of a new expansion, something we haven’t seen since the Uprising build went live last year. It’ll be interesting to see what comes out of this year’s Fanfest. A long-time running gag is that the future visions of their games drastically change every year. Anything said must be taken with a grain of salt. That said, I’m super excited to see what happens at Fanfest 2014.